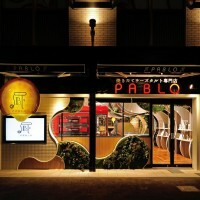 Design Atelier RONDO have recently completed the latest location of PABLO, a fresh-baked cheese tarts store in Yokohama, Japan. 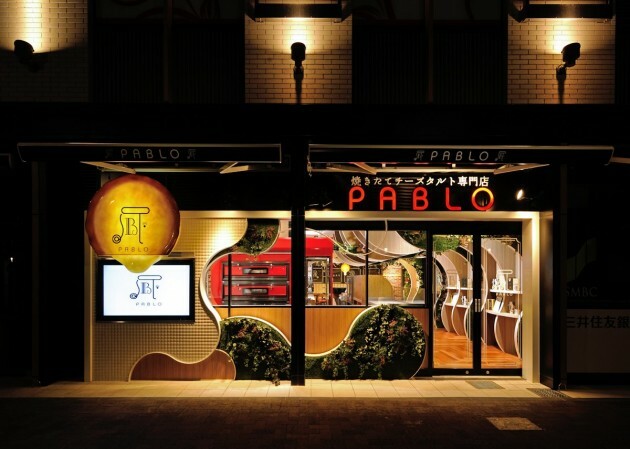 The fresh-baked cheese tarts store “PABLO” opened their new store in Hyogo area following Umeda & Shinsaibashi in Osaka and Shibya in Tokyo. 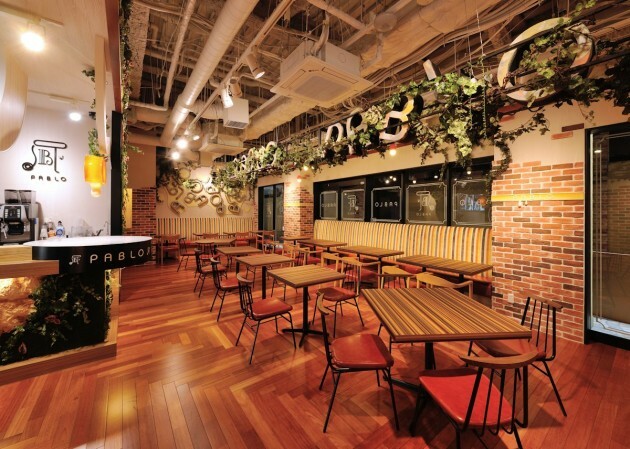 We have continued to support their store expansion throughout the country. 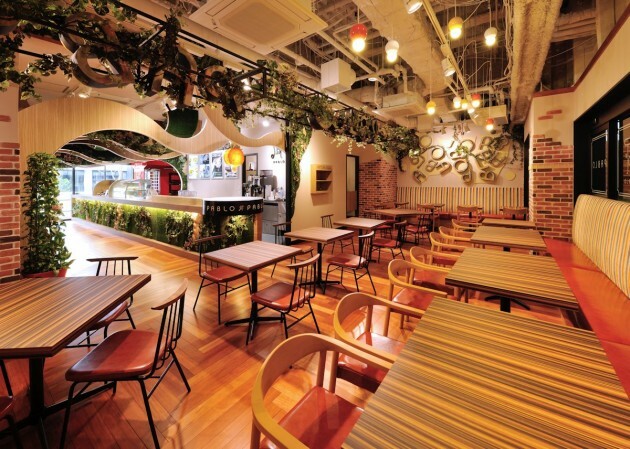 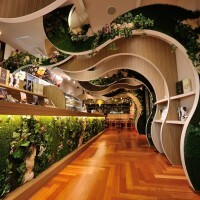 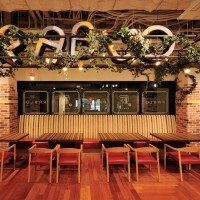 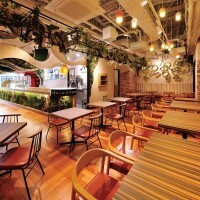 This time, they first had a function of eat-in café space with a food retail store. 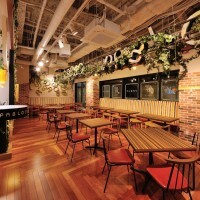 The store serves fresh-baked cheese tarts on site. 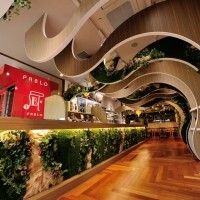 The point of design is, like their other stores, to stage the process of making tarts: churning, baking, stamping, finishing, wrapping, and serving. 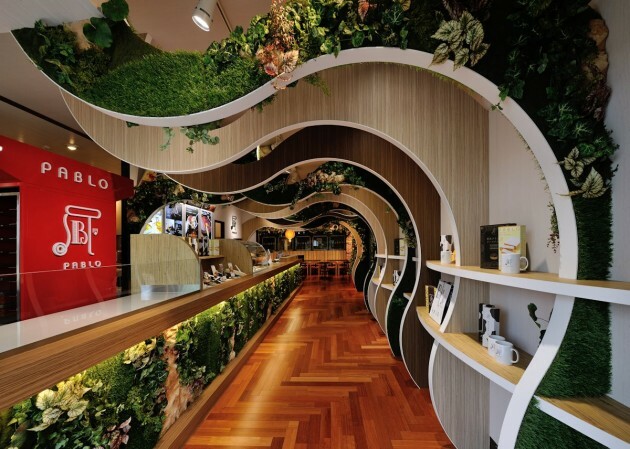 We investigated a catchy and design-conscious guidepath plan with a taste of entertainment so that customers standing in the queue can see and enjoy the making process in order. 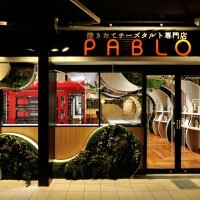 We created curve lines again that are the characteristics of “PABLO” store. 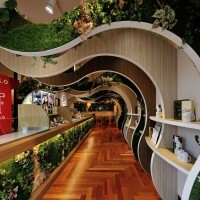 But this time, we made a sequence of intersectional curve lines from the façade to the inside of the shop like a tunnel, based on layer design. 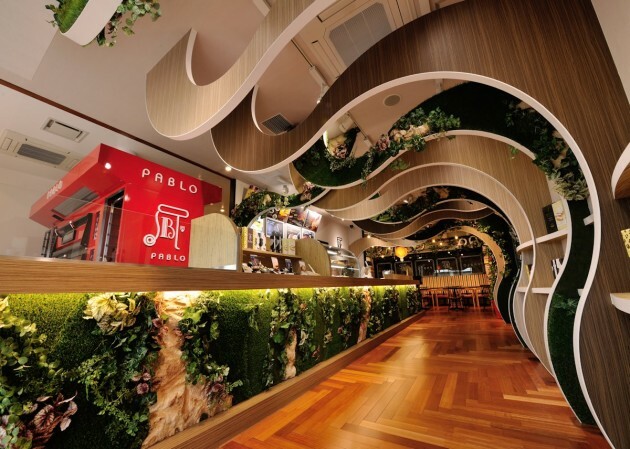 In addition, by piling up plants as natural factors, we established soft but symbolic “The world of PABLO”.